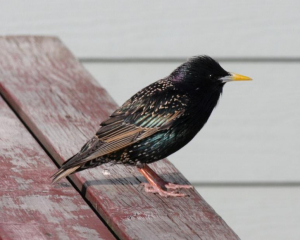 Observation - Bird - Starling - UK and Ireland. Description: Scrounging at the cafe, as usual. Scrounging at the cafe, as usual.